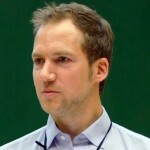 You want to share your mobile screen wireless using an alternative to the AllShare LinkCast Dongle? Here we propose a solution. Your Android tablet. We tested it with several devices running Android 5. 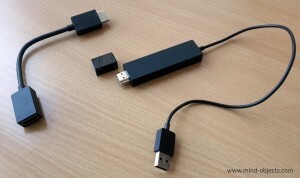 The Microsoft Wireless Display Adapter. 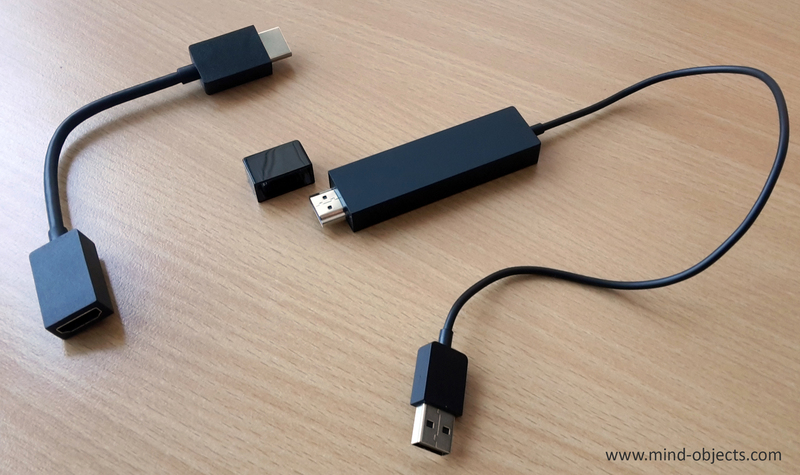 In version 1 it comes with an extension for the HDMI male connector – in version 2 for the USB connector. We prefer using the notification panel, since you are way faster, than when you open up the settings menu first. In the beginning of this video, we show you how to configure your notification panel for this purpose. At some locations you can’t reach the projector because it is fixed to the ceiling or similar and at the speakers desk there is only a male HDMI cable coming out. In this situations you need a HDMI female to female adapter in your pocket. We used one from HDMI zu HDMI Female Adapter, but you may use any adapter of your choice. This way we share the screen from our mobile wiheboard software Mind-Objects during meetings, making them more productive.